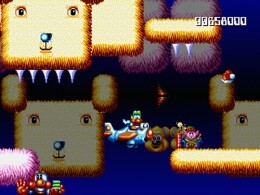 James Pond: Robocod was the rarest of things – a sequel almost indistinguishable to its predecessor. 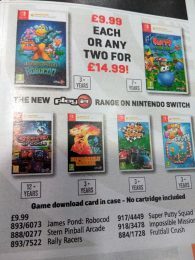 In this case, it was all the better for it – the original James Pond is a game that we’ve never really cared for. The fishy fellow was very crudely drawn, and swimming around underwater labyrinths while collecting keys and rescuing lobsters soon became tedious. It wasn’t the worst game on the Mega Drive, nor Amiga, but many will agree that Robocod was the pinnacle of the underwater agent’s short-lived career. 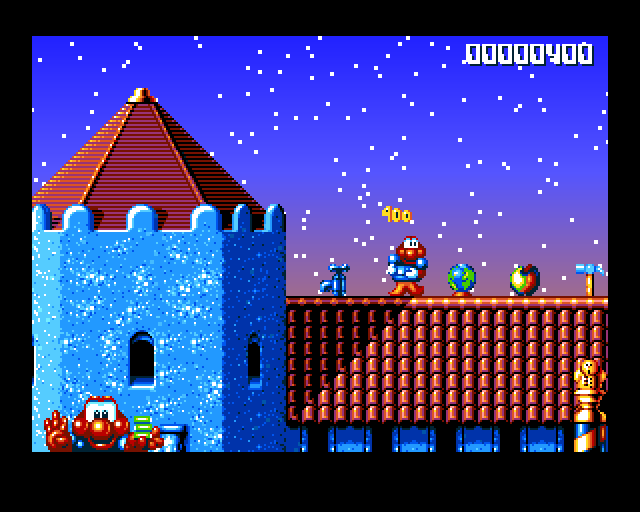 Bestowed with the new found ability to walk on land, Robocod was a much more traditional platformer and an incredibly polished one at that. Leaping his way through numerous colourful levels set inside Santa’s toy factory, Pond was out to stop Dr. Maybe from ruining Christmas while saving a pack of penguins in the process. 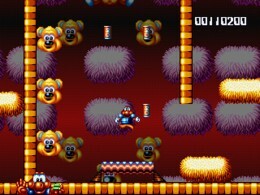 Level design differed from other platformers around at the time. 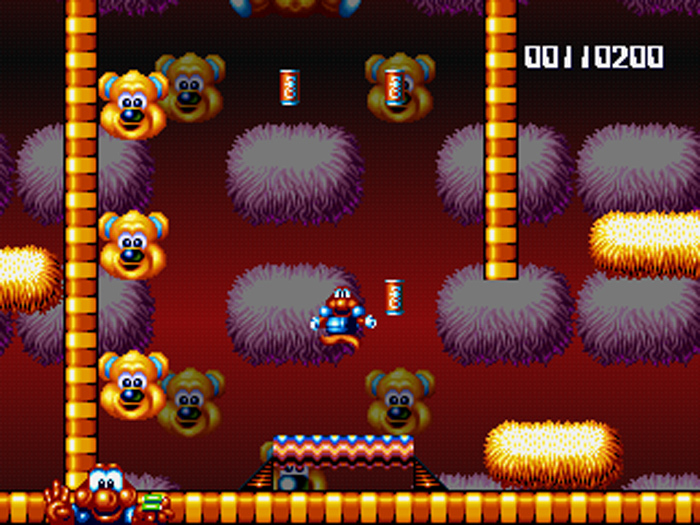 Rather than having long and linear levels to navigate, the factory – with its sports, board game, building block and cuddly toy themed backdrops – was filled with maze-like rooms full of branching paths and hidden areas galore. You could even say that they erred on the claustrophobic – the low ceilings, for want of a better definition, didn’t always leave much room for Pond to manoeuvre. This is where Pond’s Robocop-style metallic suit came into play, allowing him to stretch vast heights to shimmy over pits and rows of spikes. It was an entertaining mechanic that remains novel even now. Once all the penguins were found an exit would open up, taking Pond back to the hub to pick and choose a new level. Every so often one of the factory’s doors would lead to a boss battle. The first of these was a screen-filling teddy bear, while one of the more innovative battles featured a duo of ballerinas. Here the screen was split into two as if a mirror was placed in the middle – a neat little idea. Levels could be navigated slightly quicker by clambering into planes and cars. Bathtubs too, for some pleasingly random reason. Speaking of random things, rather than coins or rings a whole host of seemingly random objects formed the long list of collectables. The fact that somebody had to draw all these objects individually is a pretty good example of how much effort that went into creating Robocod. Incidentally, the first batch of collectables found in the hub would activate a cheat if collected in the right order – cake, hammer, earth, apple and tap. A far more pleasurable method than having to input a lengthy password. Another little tale that we’re fond of relates to the deal the publisher inked with McVite’s biscuits. 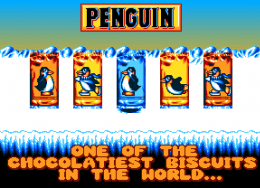 According to an article published in PC Gamer back in 1994, McVite’s claimed that because of the shrewd product placement within the game their Penguin biscuits managed to outsell KitKats for the first time ever. 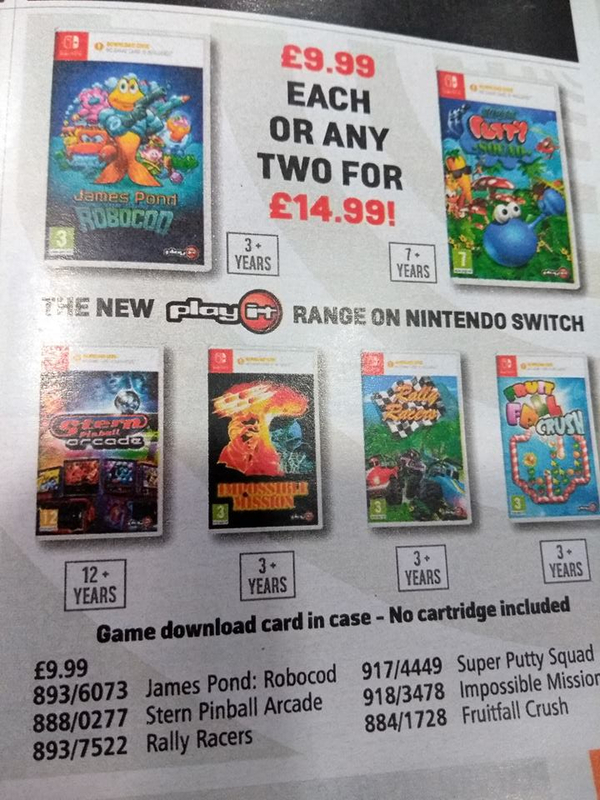 This just goes to how much of a success Robocod was, leading it to be converted to just about every console going at the time. 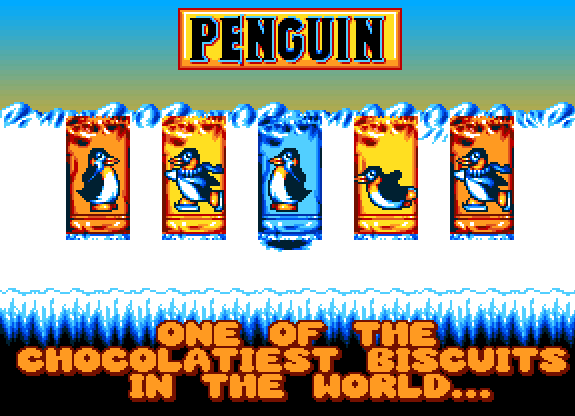 The Master System version in particular was a highlight, pushing the system hard to produce something not far off its Mega Drive counterpart.